Black Books won’t be back. According to Digital Spy, the Channel 4 sitcom’s creator and star Dylan Moran has definitively squashed any rumors the dark British comedy will be returning. Created by Moran and Graham Linehan in 2000, Black Books ran for three seasons before ending in 2004. Moran played Bernard Black, the curmudgeonly owner of a London book store who runs into Manny (Bill Bailey), a happy-go-lucky fellow who ends up working at the store. Tamsin Greig also starred as Bernard’s shop neighbor, Fran Katzenjammer. The multi-cam sitcom earned critical praise and a considerable fan following, earning two BAFTAS during its run. Speaking to Digital Spy, Moran dismissed any revival with a vehement “No, no, no, no!” when the question was introduced. What do you think? 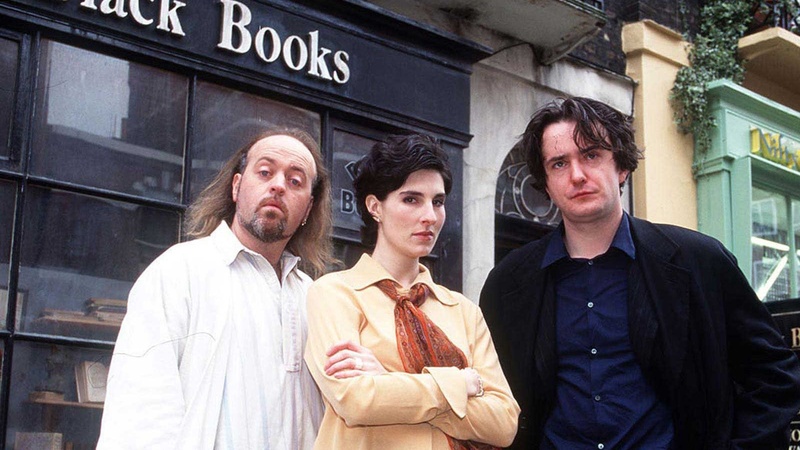 Are you a fan of Black Books? Would you still like to see more of the British comedy? More about: Black Books, Black Books: canceled or renewed?, Channel 4 TV shows: canceled or renewed? I really enjoyed this series, so much so the I bought the dvds! It’s really too bad there won’t be more as I really appreciate “dark humor”! It was a great series and it ended when the jokes ran out, as it should have. Lineham has a knack of knowing exactly when this time it. I was at Teddington for the filming of one episode and it was great to watch them in action in front of a live audience.